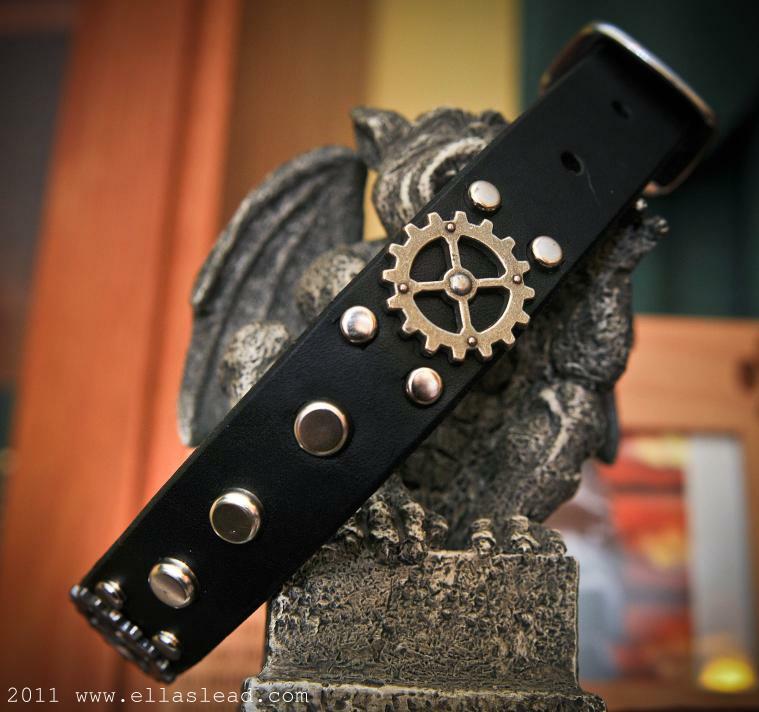 Sprocket is full of steampunk-like goodness that is sure to make your pooch standout. With 3 gear conchos and a flat round spot pattern between, you cannot go wrong with this funky piece of art for your dog's neck. This is a 1" wide collar with three steampunk gear conchos on it, each concho framed by 1/4" flat round spots with three flat round spots in between. This collar will also be available in 1.25" wide.